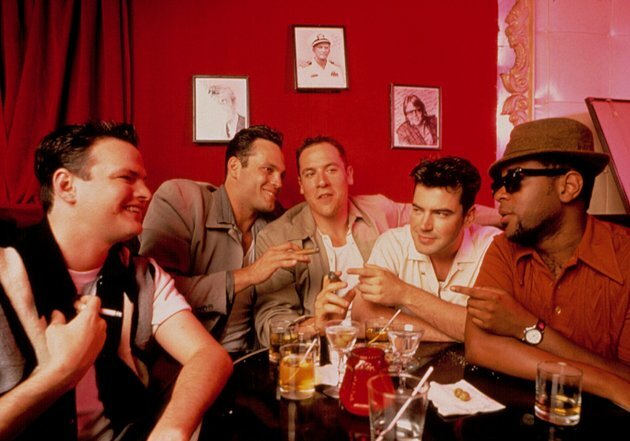 One of my favorite scenes from the movie Swingers is when the group is debating how long Mikey should wait before calling a girl he just met at the bar. The group argues amongst themselves about whether two, three, four or five days is the best duration before calling. While a delayed response to new leads in the dating scene is often preferred, the opposite holds true in the world of business. The faster you can respond to new inbound leads the higher the likelihood that you will close them. A study from Velocify found that speed-to-call is the single biggest driver of lead conversion. They studied 3.5 million leads to determine the optimal volume and frequency for contacting prospects. 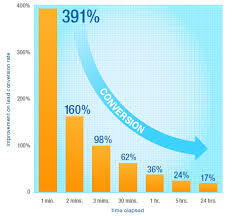 Velocify found that leads that are engaged within less than one minute are 400% more likely to convert. Each minute you wait can greatly reduce your chances of converting the prospect. Even though you might follow up on a lead within the first few minutes there is no guarantee you will make contact. How many times should you follow up? Once again, the rules in the dating scene are different than in business. In your personal life you would typically follow up on a lead once via phone. If you don’t make contact you will move on to the next opportunity. But in business, the Velocify study recommends that you should make six attempts to contact either via email or phone. The data showed that 93% of all converted leads were reached by the sixth attempt. In my experience, few companies follow these best practices. Why not? One root cause is simply the complexity of lead routing systems. For large companies with complex account segmentation models, simply determining who to route the lead to can take several hours. Is it an existing account or a new prospect? Is it a Sales Qualified Lead or does it need to be nurtured by an Account Development Rep? Is it a named account with an assigned sales representative? Automating the lead routing function in their marketing automation systems (e.g. Marketo, Eloqua) can accelerate the analysis. However, for systems with high volumes of website inquiries and complex lead scoring rules the process can still take several hours due to load on the system. Another root cause of delayed response is the availability of an assigned representative. Leads that are routed to field sales can take several days to be followed up on if the rep is traveling or busy closing a deal. This situation can be avoided by routing leads to inside sales or account development representatives for qualification first. However, this can be an unpopular strategy as senior account executives are often uncomfortable letting other reps contact their customers. A third and final reason for not following these best practices is simply a lack of buy-in from senior leadership. There are still many companies using 20th century approaches to sales and marketing that don’t understand the web-centric journey of today’s buyers. ← Should you Send Marketing Emails on Friday Afternoon?